Normally, when I go to cook something, I open up my pot and pan cabinet, look at how gross and unorganized it is, slowly close the cabinet door, and then pick up the phone to order Chinese food. 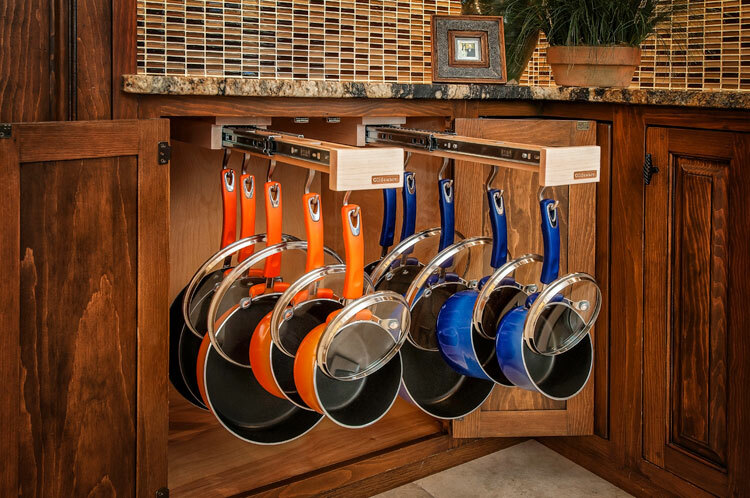 Glideware is a sliding pot holder that will organize your pots and pans so that you will no longer have to deal with the unruly disasterousness of your cabinet area. 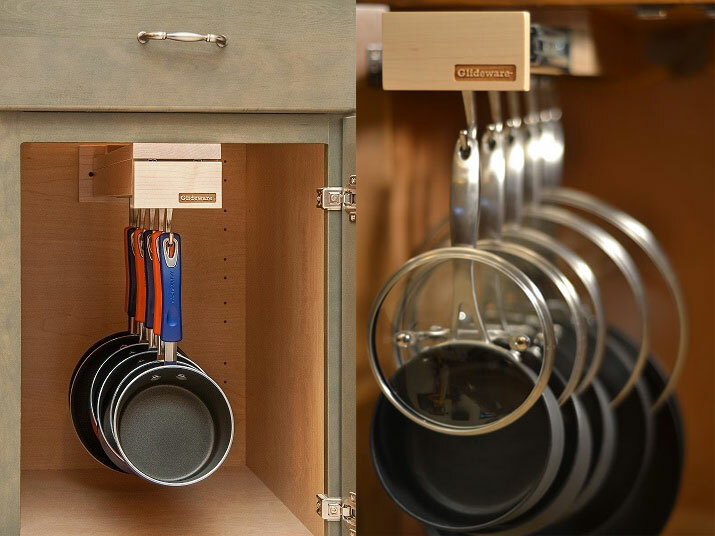 The glideware sliding pot holder will hold all your pots and pans in a tidy fashion so that when you want to get something to cook on, just slide/glide it out of your cabinet, remove your chosen pot from the hook, and slide it back in your cabinet. Not only does it hold your pots and pans in an orderly fashion, but it will also let your pans hang dry after they've been washed, and will prevent dust from accumulating on them. 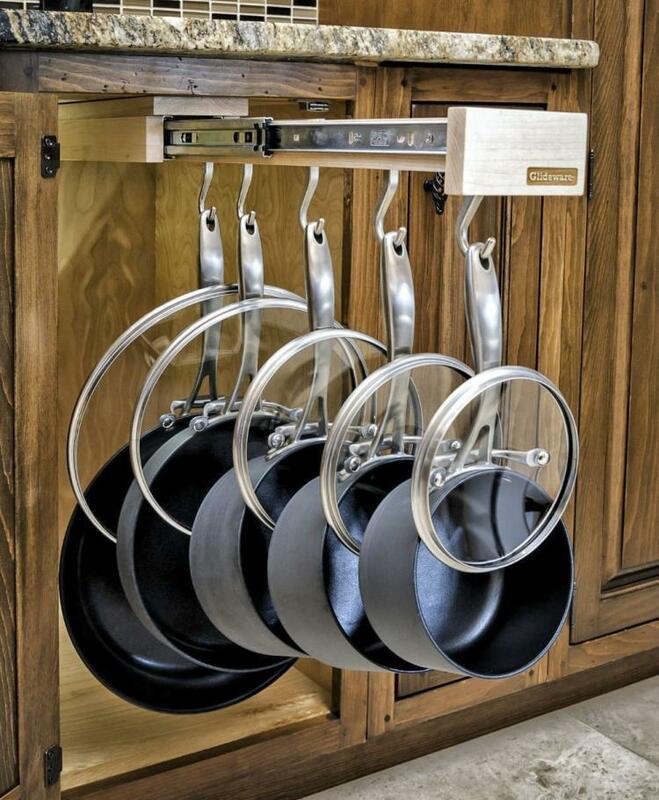 The Glideware sliding pot holder holds up to 7 pots and pans, easily installs into any standard depth base cabinet, is designed to accommodate any type of cookware using the adjustable and removable hooks, and is rated to support up to 100 lbs of weight. 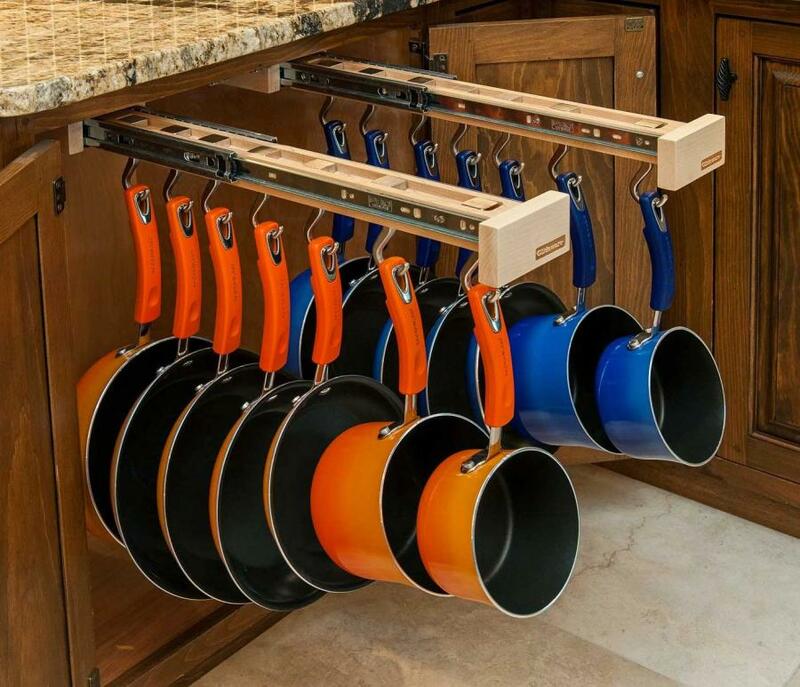 Check out the slide-out pot holder and organizer in action via the video below.